St Michael’s church in Shap, Cumbria, was built in 1140 AD, predating Shap Abbey and the site is known to have had a church since 750 AD. 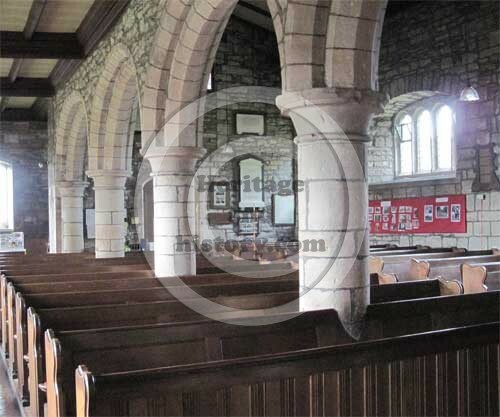 Complete restoration of the church took place in 1898 and of the 12th Century building, only the interior Norman pillars and lower parts of the walls and windows on the north side remain. The earlier chancel built in 1765 was replaced and a new tower was built in 1820. The double Aisled church contains some fine late victorian glass and carving and a 13th Century font. A monument commemorating the deaths of rail workers during the construction of the Shap section of the Lancaster and Carlisle Railways in the 1840’s, is to be found in the church yard to the North of the building near the main gate. The latest addition of the Millenium window, the work of Huddersfield artist, Adam Goodyear, involved members of the community to produce a piece of artwork that reflects the heritage and local environment. 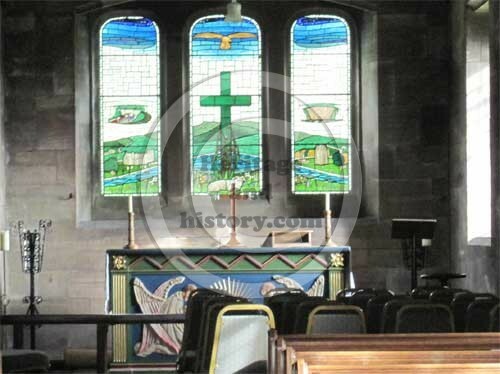 Dedication of the window took place on 29th September, 2000 by the Revd. Canon Gervase Markham M.B.E., M.A. 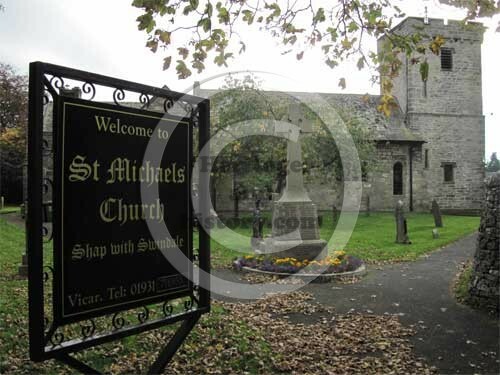 St. Michael’s, Shap, is one of a group of five churches on the High Westmorland Parishes Trail, stretching from Ravenstonedale in the upper Lune Valley to Bampton near the Haweswater dam. A distance of around 35 miles.